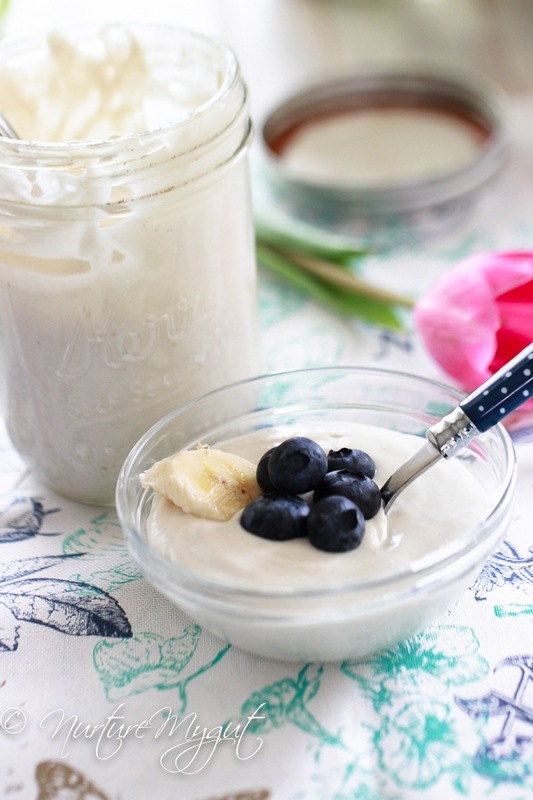 Want to make your own non-dairy, gluten-free, soy free pro-biotic rich homemade vegan yogurt? 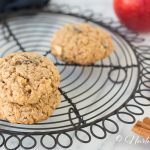 I have a delicious and easy recipe for you! There is no equipment needed. That’s right! 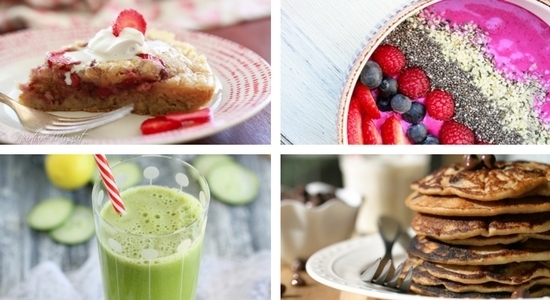 No yogurt maker or thermometer required! In this homemade vegan yogurt, I am using raw cashews because they will make a creamy and mild flavored yogurt. You can use this as a base to make savory tzatziki, dressings, flavored yogurt or simply eat this plain with fresh fruit. 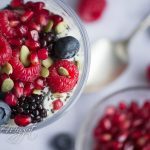 You can make a delicious Vegan Yogurt Parfait for breakfast or as a power snack. 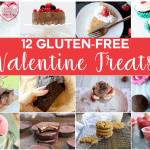 Check out the link for a complete recipe. Last month I tried a new pro-biotic highly recommended by my chiropractor and to my surprise, it was in a powder. 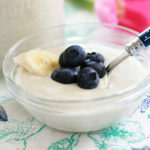 I had been wanting a pro-biotic powder to make a homemade vegan yogurt with and was looking for a high quality pro-biotic that I could use to culture with. After trying this pro-biotic in water, I realized that it highly improved my digestion (lets just say if you need to “go more”, use this!) and that I would give it a go to culture with. I decided that I had to figure out how to make this myself! So when I got this powdered pro-biotic, I decided to give it a shot! I placed the lid on loosely, wrapped the jar in a towel and placed in a cooler bag in the pantry. The jar was slightly warm. I let this sit for 24 hours. The next day, the homemade vegan yogurt was slightly tangy and still slightly sweet from the added date. It was PERFECT! I then placed this in the fridge to chill. I even had my husband blindly test between the farmers market yogurt and my own and he did not know the difference! Wow! I was thrilled! 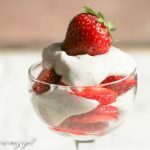 I discovered how to make the best vegan yogurt! Yay! 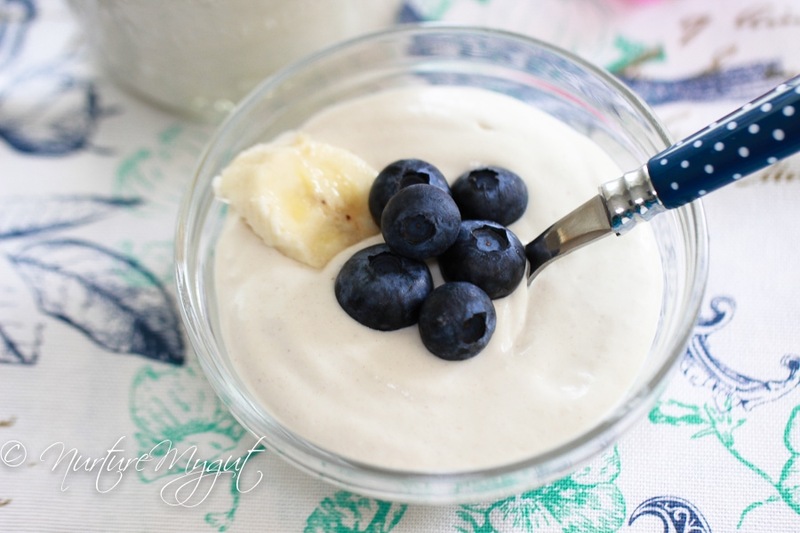 The next day, I had this homemade vegan yogurt for breakfast with sliced bananas and blueberries. I did not need to add any additional sweetener. 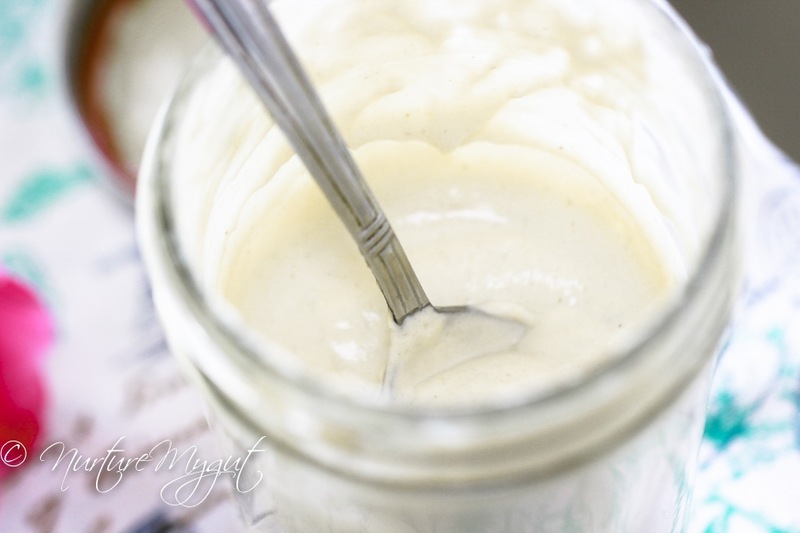 I will definitely be making other recipes to share with using this vegan nut yogurt! It lasted in my fridge for two weeks! 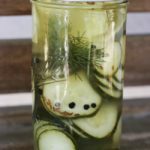 I am excited to make a tzatziki for you! Let me know if there is a recipe you would like with this yogurt. Maybe some vegan yogurt popsicles?? 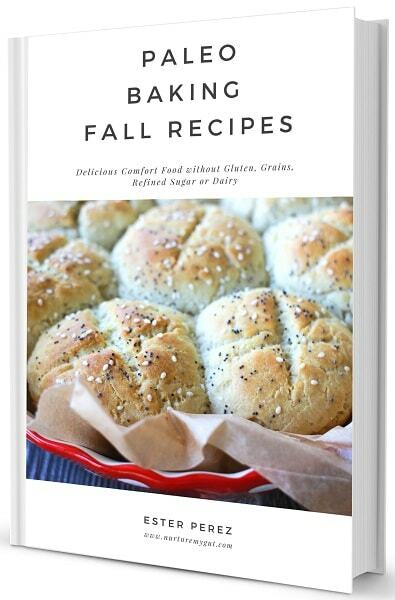 I always love to create new recipes you will love, especially those that are extremely nourishing to your gut health and immune system. 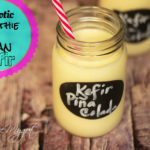 Eating fermented foods will keep opportunistic bacteria(the bad guys) and pathogenic yeast down and your good flora up! Bad bacteria and good bacteria need to live in balance in our gut, we actually need both, but when the bad guys take over, they cause all sorts of havoc in our gut, from bloating to upsets stomachs and major digestive distress. There are between 500 to 1,000 different types of bacteria in our intestines. 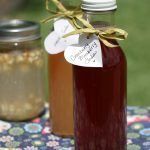 We have trillions of microbes in our intestines and eating fermented foods or taking a pro-biotic supplement will help this amazing community in our gut. As you can see, including probiotics in our diets on a regular basis has benefits for our overall health and well-being. The probiotic that I am using has Lactobacillus acidophilus and Bifidobacterium lactis so now I understand clearly why it has improved my digestion. If you want to learn how to rebuild your gut, I highly suggest you read my blog post: “What Is The Body Ecology Diet” and “5 Steps to a Healthy Gut”. You will find a lot of useful information that will improve your gut health and immune system. So if you are vegan or allergic to dairy, as I am (allergy), I hope that you can incorporate this Homemade Vegan Yogurt into your diet. It is light, creamy, slightly tangy and slightly sweet. Plus, it will bring lots of good warriors into your gut! 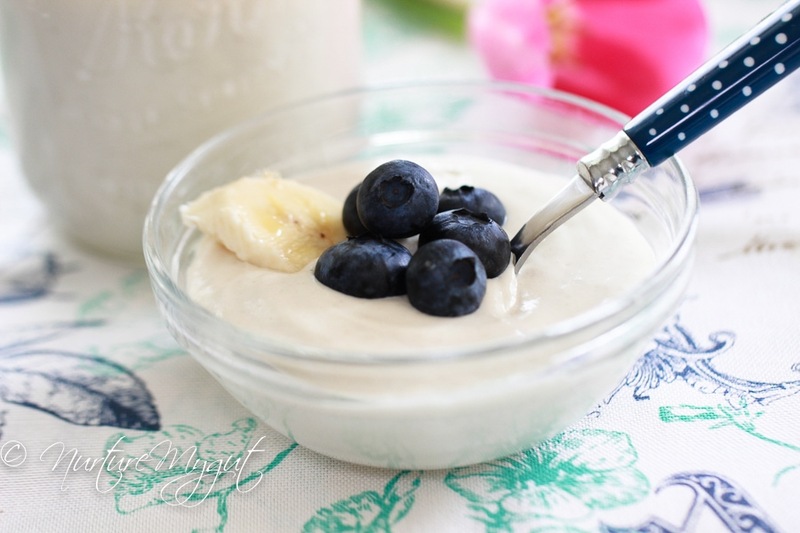 Please share in the comments below what recipes you have made with this vegan yogurt recipe! Add cashews and hot water to a bowl and cover with a towel. Soak for 1 hour. Rinse and drain cashews and add to a high speed blender or food processor. Add room temperature water, pitted date and open psyllium hulls capsule and add to blender. Blend until creamy. Pour cashew cream into a quart sized mason jar and stir in probiotic powder. Close with a lid and store in a warm dark place for 18-24 hours. You can put towels around it to keep it warm or stick in a cooler bag. After 24 hours taste yogurt, it should be slightly tangy. Place in the fridge to chill. Serve cold with fresh fruit. Hi, really good! I have one reservation that applies to any raw nut culture. Do we need a step that does something like pasteurize the blended chashew mixture before the culture is added? I found that I was wondering what else is growing in the culture. I learned tthat raw cashews are not really raw because they are steamed to neutralize the urushiol oil and remove the shell. Then they are handled by workers to remove the loose shells. I am eating the yogurt, but I think I will try heating the nut mixture carefully next time before adding the culture. Any experience doing this would be interesting. 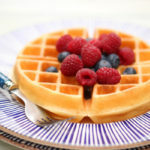 This recipe is very good! Thank you for sharing! It was good as regular yogurt, but I also wanted some real tasting sour cream for baked potatoes and tacos, so I added a little lemon juice after fermenting and it was perfect! 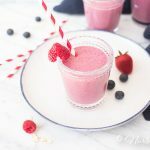 Even my husband who normally doesn’t think my dairy substitutes normally taste like the real thing said it was good, so I’ll definitely be making this again! I was wondering what the purpose of of the psyllium hulls is? Is it for health benefits, or does it add to the texture or flavor? It helps the texture. It allows the bread to be flexible so you can make sandwiches. 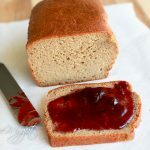 Without it, the texture is more like a pound cake. It also allows the bread to retain moisture. Some people will sub flax meal instead and that works too, but psyllium definitely gives a great texture without affecting flavor. Please let us know how you like the bread! This isn’t for bread. It’s for yogurt. 🙂 Also, while I’ve got you, I used the probiotic I had on hand and it was definitely not the right one. 🙂 I used saccharomyces boulardii and it is so yeasty. My yogurt just doubled in size and smelled like a loaf of bread. It definitely wasn’t something we were interested in eating. 🙂 What probiotic do you use? I was wondering if yogurt grows as it cultures? My 32 ounce mason jar is filled at 16 ounces right now and I saw a different blog where someone pulled their lid off and yogurt came pouring out the way soda doesn’t when it’s chapmen up. My jar has no lid but it has a cheese cloth over it. What do you think? Vegan yogurt is so good! It’s a shame it’s not more popular. Recipe looks great, I will give it a try. 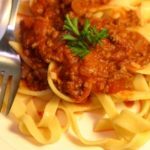 Any tips on how to get a sour cream type flavour and texture. Would be great for fajitas. 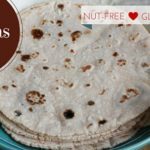 Your almond tortilla’s are now a staple in our house – having a sour cream substitute would complete the gluten/dairy free fajita dilemma. Your tortillas are the greatest – yesterday breakfast they were filled with scrambled eggs and sausage, today’s lunch was left over chicken mashed with avocado(instead of mayo). We have mastered the perfect shape issue, I used a glass pyrex bowl to trim the edges, kids didnt believe they were homemade. Only downside is they do take a long time to make. 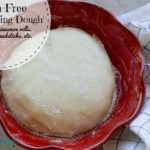 The dough needs quite a bit of kneeding. 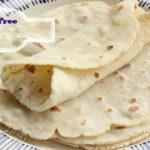 For a double batch all rolled and cooked takes us about 2 hours ): But they freeze really well, we freeze the cooked tortillas with some pieces of parchment paper in between, just pull them out and within 5 minutes they are defrosted and ready to go.